Due to juggling Real Life stuff (see post below) I seem to have neglected to update my website with some really exciting new book news. I’ve written a middle-grade fantasy novel called The Polar Bear Explorers Club, which has been acquired by Faber in a three book deal. Hurrah! The first one will be published in the UK in November next year and I absolutely can’t wait as this is a book I just loved writing. More details on my agent’s site here. Stella Starflake Pearl lives with her explorer father, Felix, alongside her pet polar bear, Gruff, a menagerie of pygmy dinosaurs and her trusty unicorn, Magic. Ever since Stella was a small child, Felix has gone away on expeditions to faraway lands, and returned with fascinating curiosities and incredible tales. Stella has always enjoyed his stories, but now she’s ready to start having a few adventures of her own. reaches the snowy Icelands, Stella and the other three junior explorers find themselves separated from the rest of their expedition. Setting out together into the frozen unknown, they must keep all their wits about them if they are to come face-to-face with frost fairies, snow queens, outlaw hideouts, carnivorous cabbages – and live to tell the tale. 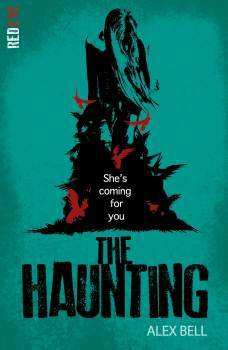 Following on from the gorgeous Frozen Charlotte art I received a while back, here is some equally wonderful artwork inspired by The Haunting, by Edie Morris. Seeing your characters brought to life is the coollest thing ever, and I love this image of Shell being haunted by all her birds. Thank you so much for sending this my way, Edie! 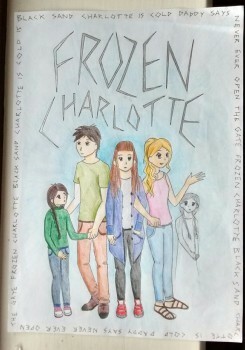 I was absolutely delighted to receive this beautiful Frozen Charlotte art from 14-year-old Lucy Treleaven earlier in the week. I’ve always wanted to be able to draw but, sadly, it is not one of my talents. Sometimes even my smiley faces end up looking a bit deranged. But I really admire artists and, for a writer, there’s no greater thrill than seeing your characters brought to life. I recognised Lilias, Cameron, Sophie, Piper and Rebecca straight away – they all look spookily similar to the way I see them in my head, and it was like saying hello to old friends again. 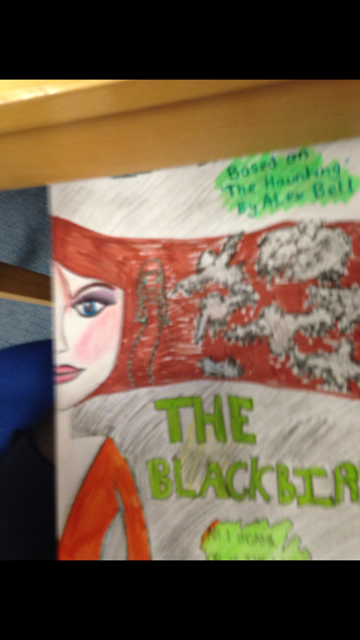 So a big thank you to Lucy for producing such a great little piece of art, and for letting me see it. It really did make my day. 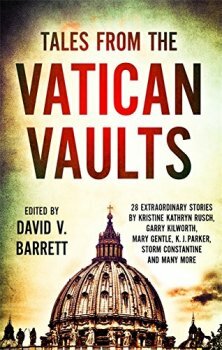 A captivating collection of original science fiction and fantasy stories based on the same alternate world premise: a collection of documents that have been suppressed by the Vatican and hidden away for years, in some cases centuries, are revealed when the vaults are thrown open by a reforming pope. My story is set in 1889, and concerns the real identity of Jack the Ripper. Warning: expect a certain amount of gory unpleasantness. Interestingly, family tree research shows I might be distantly related to Jack the Ripper’s fourth victim, Catherine Eddowes, via my great-great-great-great-grandfather, John Eddowes, who was also from Wolverhampton . . .